Please, sniffle, please dear G-d, please, snuffle, don't let Ol' Gramps Stinky become Presidemptosaurus of America please. Kathleen's designer friend Chris from Project Runway last year has been visiting so here's a little something in the way of an obeisance, maybe an homage. 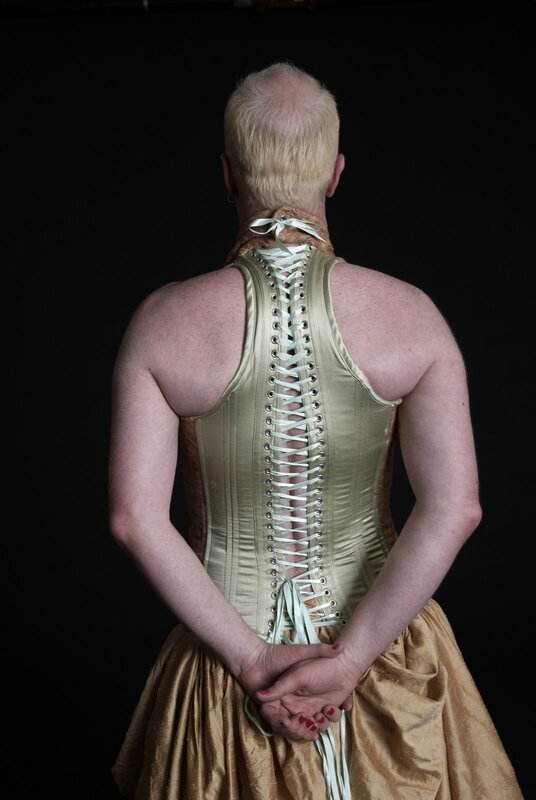 Corset by Kathleen, photo by Kristine Adams.